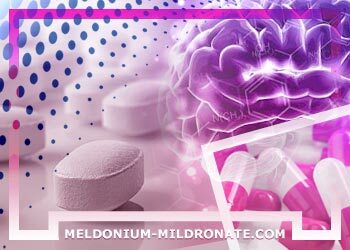 Meldonium (Mildronate) is a nootropic, vasodilator and CNS stimulant that can unlock your intellectual and physical potential. It is a clinically used cardioprotective drug, which mechanism of action is based on the regulation of energy metabolism pathways through L-carnitine lowering effect. Meldonium Mildronate was a less known drug until 2016 when top athletes were suspended and even banned from testing positive. Some of the affected sportsmen and women include 2015 Tokyo marathon champion Endeshaw Negesse, Abebe Aregawi. Aregawi was the world champion in the 2013 women 1500m. The most notable was the banning of Tennis champion Maria Sharapova. Additionally, In 2016 Russia had to replace its entire hockey team for the world championship after they were suspected of using the drug. Here is an in-depth look of this drug, its use, ban and the aftermath. 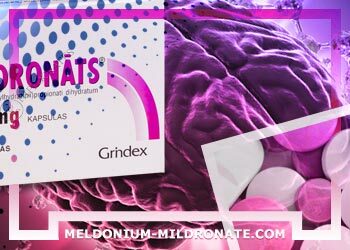 Sold under the brand name Mildronate, Meldonium is a Latvian agricultural drug manufactured by Grindeks, a Latvian pharmaceutical company. The company developed the drug in the 1970s to promote livestock growth. Later studies showed that it is beneficial for patients who have blocked blood flow and ischemia. Ischemia is characterized by low blood flow to vital organs such as the brain and the heart. Blood flow blockage usually results from the building up of plaque in the arteries. Over the years, the drug has been used to treat chronic heart failure, angina, and myocardial infarction. It is Latvia's largest export reporting an annual turnover of about $ 75 million in 2013, mostly to Russia and countries in Eastern Europe. However, the drug is not used in the US because the FDA has not approved it. The basic function of the drug is improving blood flow. It achieves this by shifting the normal body metabolism process form fat metabolism to carbohydrate metabolism. Unlike other blood flow medications that open up or relax the arteries, meldonium blocks the action of the carnitine. Carnitine is an amino acid plays a key role in the burning of fat fuel. Without it, the body burns more sugar/ carbohydrate for fuel. Carbohydrate metabolism uses low energy hence requires little oxygen. Simply put, the body to produces more energy with the same oxygen amount than it would without the drug. This effect is beneficial in low oxygen conditions. The heart muscles of individuals suffering from heart disease are always deprived of oxygen. Meldonium, therefore, is an invaluable drug to such persons. Blocked flow to the legs, or claudication, results in aching calves and pain when walking. Meldonium has been proven to alleviate conditions induced by intense endurance exercises. Other effects of the drug are decreased levels of urine and lactate in the blood, increased aerobic abilities and endurance and improved heart activity. Additionally, the drug increases the recovery rate from sub-maximal and maximal loads. It is no surprise that Russian players used meldonium to enhance their performance. Several studies had been conducted in Russia to determine the effect of the drug on physical performance. One of the published research results had reported a significant improvement in the swimming abilities of rats that were given supplements of meldonium. Meldonium has as well can protect against stress by activating the central nervous system. As such, doctors view it as a promising drug for the alleviation of depression, improve memory and treat neurodegenerative conditions like the Alzheimer's and Parkinson's disease. Meldonium is readily available in Eastern Europe since it is produced in Latvia. However, it is not prescribed by doctors in the US and is not sold in American drugstores. The reason being, it is yet to be approved by the United States 'Food and Drug Administration, FDA. To obtain FDA approval, the manufacturers of meldonium are required to provide sufficient data on the drug's efficacy and safety based on random clinical trials. Grindeks has not conducted clinical trials, possibly because it requires an enormous financial investment to carry out. Nevertheless, one can still order it online for specific personal use. From the list of athletes that tested positive for meldonium use, it was evident that the drug is available in Ethiopia and other countries in Africa. A week before the banning of Endeshaw Negesse, Ethiopia's, secretary general, Solomon Meaza reported that nine of its athletes were being investigated. Among the nine were five prominent athletes. Abebe Aregawi also resides in Ethiopia though he represents Sweden. There is insufficient information on the drug's benefits and risks. Drug label in the countries where it is accepted show very few side effects. The indicated effects include tachycardia, indigestion, and increased blood pressure. Tachycardia is a condition characterized by a heart rate that is faster than normal. Doctors advise that patients using this drug should do so cautiously. They point out that such new compounds pose a risk of severe allergic reactions. Again since meldonium is designed to improve impaired heart function; it is risky to use it when the heart is working normally. Such use can overwork the heart to the point where it cannot function properly without the drug. The World Anti-Doping Agency, WADA first became concerned about Meldonium when studies showed that most Russian athletes were using the drug to enhance their performance. Most of these athletes had no real medical conditions that necessitated the use of the drug. In the first three months after the ban, over 40 Russian athletes tested positive for the use of the drug. WADA officially added meldonium to its list of banned drugs in the January of 2016. The drug had been placed in the agency's monitoring program a year earlier. For WADA to put a drug on the program, it must have sufficient evidence. The evidence may be from the Agency's research or information from athletes. In the case of Meldonium, WADA had repeatedly detected the compound in urine samples when it was validating its high accuracy/ high-resolution mass spectrometry multi-target screening analyzer. The MS spectra indicated peak level of exogenous substance which it later determined to be meldonium. Statements from athletes finally compounded the evidence leading to the placing of the drug on the monitoring program. WADA used two different urine sample tests for meldonium. The first test was the routine test used to determine all the substances in urine samples. The second test was designed particularly for meldonium. It could with high accuracy determine its presences in a sample. More than 8000 random doping urine samples were tested. They cut across all sports and athletes. 182 samples tested positive of meldonium. Some had a concentration as high as 1420 ?g/mL. Following this study, meldonium was officially banned in 2016. However, athletes who had previously won titles before the ban but tested positive were not required to return their trophies and medals. Maria Sharapova was no doubt the first prominent athlete to be affected by the ban. She publicly admitted to using the drug for medical purposes since 2006 and after the January 1st ban. The 29-year-old prolific tennis player has lived in the US since she was seven though she represents Russia. Even though the import of the drug to the US is illegal, the FDA allows its use in some situations for personal use. She had explained that drug was part of her medication program for magnesium deficiency, pre-diabetes conditions and irregular echocardiogram, EKG, results. In addition to Maria, Negesse, and Aregawi, more than 60 athletes had failed the meldonium test by March 2016. The list included Semion Elistratoy, Davit Modzmanashvili, and Pavel Kalashnikov. WADA authorities, however, were not surprised by the outcome. Based on Maria case, WADA's decision to prohibit the use of meldonium completely was severely criticized by some experts. According to health experts, it takes one to two grams daily doses of the drug for it to have any performance enhancing the effect. The dosage is too high to be reached when it is taken for medical purposes only as was in the case of Maria Sharapova. In defense, WADA pointed out none of their experts made a formal submission proposing a threshold. WADA's expert's team comprises of professionals from all sports and countries. Besides, very few drugs on the list of banned substances have a threshold. Glucocorticosteroids and marijuana are two of the substances that have recommended limits. However, athletes who must use any banned substance for medical reasons are allowed to apply for a therapeutic-use exemption. The creator of Meldonium, Ivar Kalvins also faulted the agency's decision. He said that the drug helps to prevent the death of athletes from excessive training. He termed the decision as a breach of human rights to stay alive. Kalvins is a medicinal chemist and the board chairman at Latvian Institute of Organic Synthesis in Riga. Kalvins not only believes that banning meldonium takes a way athletes' vital harm reduction tool, he also pointed the lack of sufficient research on how long the drug can stay in the body. He said WADA had not determined how long the traces of the drug can remain in the human body after use. Depending on the accuracy and sensitivity of the testing methods, traces of the drug can be detected even months after use. Kalvin's argument provided an anchoring argument to many athletes who had initially tested positive. Most of them had used the months before the tests were carried out. In April 2016, WADA dropped cases of athletes who had low levels of meldonium in their urine samples collected before March 1. Some of these athletes included Ukraine's biathlete, Artem Tyshchenko, and his Russian counterpart Eduardo Latypov. Russian cross-country skier, Kirill Vicuzhanin also benefited from the verdict. Meldonium is a drug that is promising for the treatment of critical health conditions such as heart disease, blood flow blockages, and neurodegenerative conditions. However, its PED characteristics have seen it abused by athletes resulting in its ban by WADA. And I learned in that year what Meldonium is when they started talking about athletes. 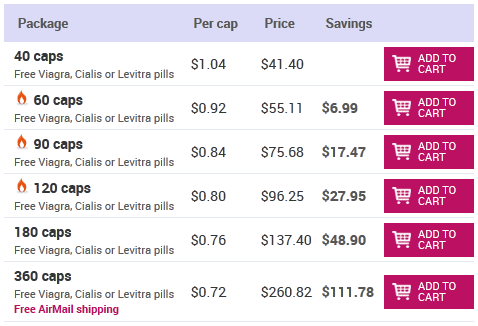 I did not know what was on sale in the pharmacy. I found out, tried ... This is my salvation. The matter is that at me last years spondylosis is aggravated. When cervical especially, then weakness in the whole body. I feel like an old woman ... in 43 years ... So "Cardion" (meldonium) now saves me. Gives strength, I live now. I will drink the package ... I'm much better ... and again until the next exacerbation (from lack of sleep and chronic fatigue occurs). I thought that he only gives strength, it turns out, and the sores go faster. And his doctors only write to the hearts. And many can. Contraindications, like, only arrhythmia and kidney and liver diseases. I myself was in that year until an appointment with a neurologist with an exacerbation of cervical spleen, meldonia exacerbated and he said this. Maybe someone will advise others.